Undoubtedly, the nights get hotter in Rio when it comes to entertainment. Those looking for a gay friendly vacation will find Rio the ideal destination. To begin with, the cariocas are welcoming to gay and transgendered people from all walks of life and all corners of the globe. In fact, a strong local gay community in Rio has made the ‘Girls from Ipanema’ move over, so to speak. Whether it’s Copacabana, Ipanema, Leblon, or Lapa, there are plenty of men’s clubs where the night gets hot and the guys even hotter. Local gay men in Rio are known as ‘Barbies’, contrary to the term since they spend a good deal of time at the gym. Bars and discos that are open all through the night are open to cruising just as much as Praia de Ipanema is during the day. When midnight strikes these bars are most lively so you ought to check out the gay bar scene later into the night. The local gay community has a different culture as compared to American gays, with a lack of leather or kink specific bars. Therefore, it may take a while to find a men’s club that suits your style. In the rua Teixeira de Melo area is where the largest concentration of men’s clubs and gay bars are. The street is close to Farme Gay, the cruising area for gays in Ipanema. In addition to go-go boys, there are plenty of drag performances and other special events held at most clubs. This is one place where the cruising competition for men is intense. A popular meeting point after the beach is “To nem ai” bar and the new Cafeina coffee shop in Farme de Amoedo street which starts getting crowded for breakfast. If you are new to the area, this is a place to meet up with other guys. Galeria on weekend nights is a lounge with music and it's a tradition for the gay nightlife. 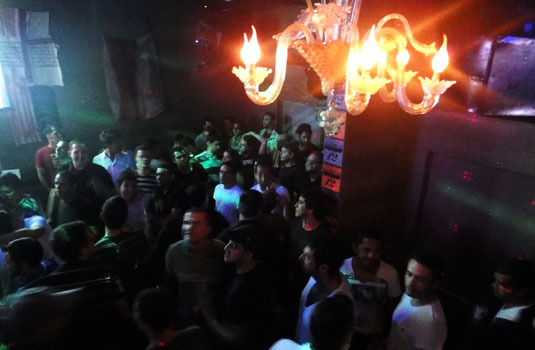 Boy Bar and Le Boy are the most classic gay nightlife in the city and both are located in Copacabana. Down in Copacabana the Blue Angel Bar is a trendy club that is open to lesbians as well. Those looking for effeminate boys may try out Maxim’s also in Copa. There is no reason not to hit the dance floor and shake a leg with some of the Brazilian gay boys as well. 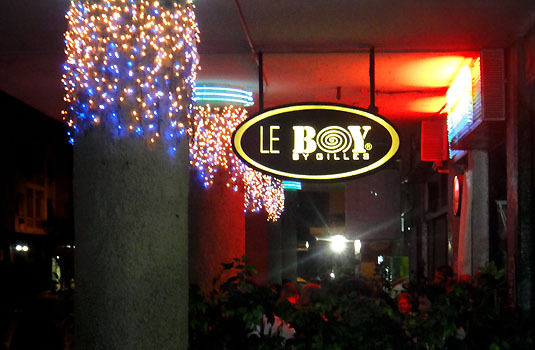 Le Boy nightclub is the most traditional gay nightclub in the city and put together native people, foreigners , gogo boys and drag shows, all depending of the agenda. The new nightclub The Week is the high point of gay nightife in Rio. It’s considered the best nightclub in town and plays electro music. There are also parties that happen all over the city as Cha da Alice, Candy Party, Chocolat party, Pop Up and many gay friendly parties that you only need to check their agenda on the web. Whether you are conservative or prefer a tackier club scene, Rio has the solution to your lifestyle.